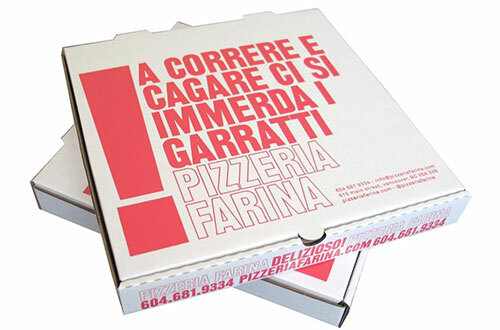 We recently just finished up a pizza box for Pizzeria Farina which was designed by Glasfurd & Walker. We really love the graphics on this one! Its amazing how with only one color the design is so powerful.